It took a little longer than I think everyone would’ve liked, but the Yankees have officially acquired an Aaron Judge replacement, and they got a good one. Prospects Abi Avelino and Juan De Paula went to the Giants for former NL MVP Andrew McCutchen yesterday. 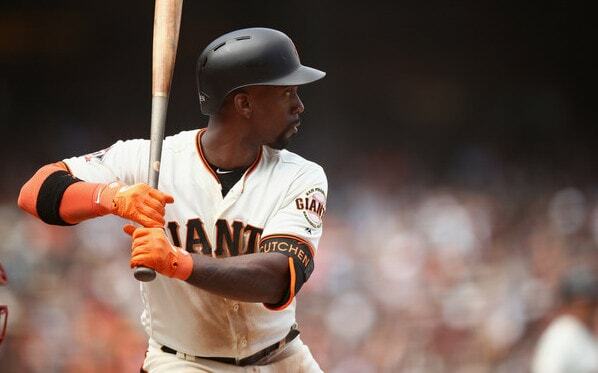 McCutchen is an impending free agent — that makes him a 27-game (plus postseason) rental — and the Giants are paying half his $2.4M salary to help make the luxury tax plan work. Time for some trade related thoughts. 1. Question No. 1: What does this mean for Aaron Judge? I do think the trade is an indication the Yankees have some concern either Judge won’t return before the postseason, or at least won’t return at full strength. There are four weeks and one day to go in the regular season and Judge has not yet started swinging a bat. Whenever he is cleared to swing, he first has to take dry swings, then hit off a tee and soft toss, then hit in the cage, then take batting practice, then face live pitching, and then play in games to shake off the rust. It’s a process and it takes time, and while there are four weeks remaining in the regular season, time is starting to run out. The minor league season ends in two days, so Judge won’t be able to play in rehab games. There is point of no return here and every day Judge doesn’t swing a bat brings us one day closer to that point. At the trade deadline, a few days after Judge went down, Brian Cashman said he was looking for an outfielder who could slide into a bench role once Judge gets healthy. That’s not McCutchen. They picked up an above-average everyday player who’s never been a part-timer or platoon bat. This isn’t a stopgap pickup. This is a “we need an everyday guy in case Judge doesn’t come back” pickup. That doesn’t necessarily mean Judge isn’t expected back or won’t come back. It just means the Yankees have enough concern that they added some protection. 2. Question No. 2: How does everyone fit when Judge returns? This is not something worth worrying about right now. Worry about it when Judge does actually return, which doesn’t seem to be imminent. In a perfect world scenario, Judge comes back with two or three weeks to go in the regular season, giving him time to get at-bats and get back to full strength. If that does happen, and I really hope it does, McCutchen allows the Yankees to get Giancarlo Stanton off that tight hamstring for a bit, and it allows them to rest Aaron Hicks and especially Brett Gardner a little more often. If Judge gets healthy and the Yankees go into the postseason with five outfielders (Gardner, Hicks, Judge, McCutchen, Stanton) for four spots (three outfield plus DH), then celebrate. Too many good players is better than not enough. Aaron Boone will have plenty of lineup options. Let’s worry how all the pieces fit when all the pieces are actually healthy and on the active roster. That isn’t the case right now and it doesn’t appear it will be anytime soon. 3. Question No. 3: What took so long? The Yankees have needed an outfielder for weeks now. Weeks. It has been five weeks and two days since Judge got hurt. Billy McKinney was traded earlier that same day. Clint Frazier has been on the disabled list since the All-Star break. The outfield need didn’t come out of nowhere, and yet, the Yankees didn’t get Judge’s replacement until five weeks after Judge got hurt. And during those five weeks the Yankees essentially slipped out of the AL East race completely. Replacing Shane Robinson with McCutchen or Curtis Granderson or whoever on July 31st probably doesn’t change the division race much — they’d be what, maybe three games closer to the Red Sox at the most? — but still, would’ve been nice to have a real outfielder this last month. In McCutchen’s case, the Giants weren’t ready to trade him at the deadline because they were still in the postseason mix and wanted to try to make a run. Didn’t happen. They slipped in the standings and decided to cash him in as a trade chip. There were other outfielders available though. I know that because there are always outfielders available. I don’t know if the asking prices were too high or if nothing worked under the luxury tax plan or something else. Whatever it was, getting an outfielder is really something that should’ve happened weeks ago. Better later than never though.
? … and he’s a Grade-A clubhouse dude who plays with a lot of energy and a lot of swagger. He’ll quickly become a fan favorite. Also, McCutchen has been a star player on a contending team. He was The Man when the Pirates averaged 93 wins a season and went to the postseason three straight years from 2012-15. McCutchen was the centerpiece of the lineup and the franchise player. He knows what that is all about and I have no worries about him fitting in. There might even be a Todd Frazier effect, so to speak. Frazier came in last year and, in addition to being productive on the field, he gave the team some more life and confidence. McCutchen can do the same this year. Other guys like Granderson and Adam Jones would’ve been adequate outfield fill-ins as well. McCutchen was the best possible addition in my opinion though. Boone said he may bat McCutchen leadoff, but I think Hicks should be the regular leadoff hitter, and I said so weeks ago. Will Boone actually do that though? I’m not sure. Also, something tells me four straight right-handed hitters in the 4-5-6-7 spots will give Boone the heebie-jeebies, so I wouldn’t be surprised to see McCutchen leading off and Hicks hitting fourth or fifth to break that up. The lineup above is probably the lineup I’d go with though, without thinking about it too much. Flipping Stanton and McCutchen would work, ditto flipping Sanchez and Torres. That’s the way I’d go, I think. Sure looks a heck of a lot better than the lineups they’ve been running out there since Didi got hurt, doesn’t it? 6. Look at that lineup above. Look how much turnover there’s been since Opening Day. The Yankees have a new right fielder, a few first baseman, a new second baseman, and a new third baseman. And also two new starting pitchers and a new late-inning reliever. Four-ninths of the lineup and two-fifths of the rotation have turned over since Opening Day. Part of that was planned (Torres was always going to take over at second base at some point) but most of it wasn’t (Luke Voit!?). Amazing how so much can change in this game over the course of the 162-game season, even with the best teams. The Yankees came into the year with like seven viable big league outfielders and now here they are trading for McCutchen in August. Go figure. 8. As for Avelino and De Paula, the Yankees didn’t give up a whole lot to get McCutchen, which isn’t surprising. He’s a one-month (plus postseason) rental. I had neither Avelino nor De Paula in my most recent top 30 Yankees prospects list — before the trade MLB.com ranked them as the 23rd and 26th best prospects in the system, respectively — and they were both surplus players for the Yankees. Avelino’s a middle infielder who had success in Double-A (162 wRC+) and not much success in Triple-A (83 wRC+) this year while repeating the levels, and he’s due to become a minor league free agent after the season. I don’t think he was a good bet to get a 40-man roster spot at all with Tyler Wade and Thairo Estrada still around. As for De Paula, he is still in short season ball and the Yankees are loaded with lower level pitching prospects. He’ll be Rule 5 Draft eligible after the season and, with his 21st birthday three weeks away, De Paula was one of the team’s oldest pitching prospects not in full season minor league ball. He was arguably the most expendable of the bunch. Avelino figures to get a chance to help the Giants right away as a utility guy. They wouldn’t have traded for him if they weren’t planning to add him to the 40-man to prevent him from leaving as a minor league free agent this winter. De Paula is still a few years away from helping. The Yankees dealt from positions of depth and gave up two players they’re not going to miss. Avelino was probably a goner after the season and De Paula is way too far down the ladder to worry about. 9. This is the first time the Yankees have made an August waiver trade since getting Steve Pearce for cash in 2012, and that was a minor trade for a spare part player — that was two years before Pearce really broke out with the Orioles — who was waived after 12 games. The last time the Yankees made an August waiver trade for a no-doubt big league player who stayed on their roster the rest of the season was 2009, when they sent cash to the Padres for Chad Gaudin. The sample size is not big, but the best August waiver trade the Yankees ever made went down in 1996, when they got Charlie Hayes from the Pirates for a minor leaguer who never made it. Hayes went 19-for-67 (.284) with three doubles and two homers in 20 regular season games with the Yankees, then caught the final out of the World Series. So, long story short, there’s a pretty darn good chance McCutchen will go down as the best August waiver trade pickup in franchise history. He has to perform, of course, but there’s no reason to think he won’t other than baseball being weird sometimes. It’s not often impactful trades go down in August. That Justin Verlander deal last year? A complete and total outlier for August, historically. The Yankees may’ve just made an impactful August trade, however. McCutchen is a great player who fills a big need and is a super likeable dude.